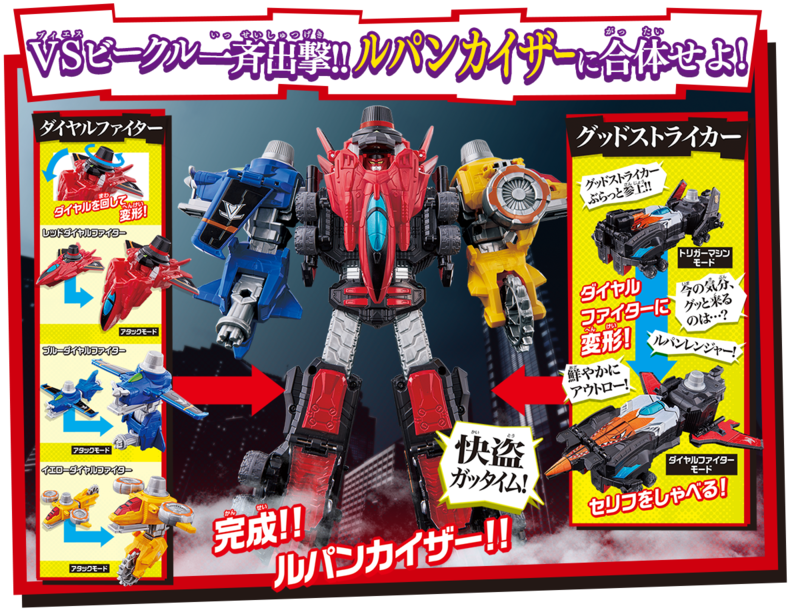 Dial Fighters are ready to take-off as Bandai's B-boys site has finally posted the official images for the VS Vehicle Series Kaito Gattai DX Lupin Kaiser, the phantom thieves's main mecha from the upcoming Super Sentai series! 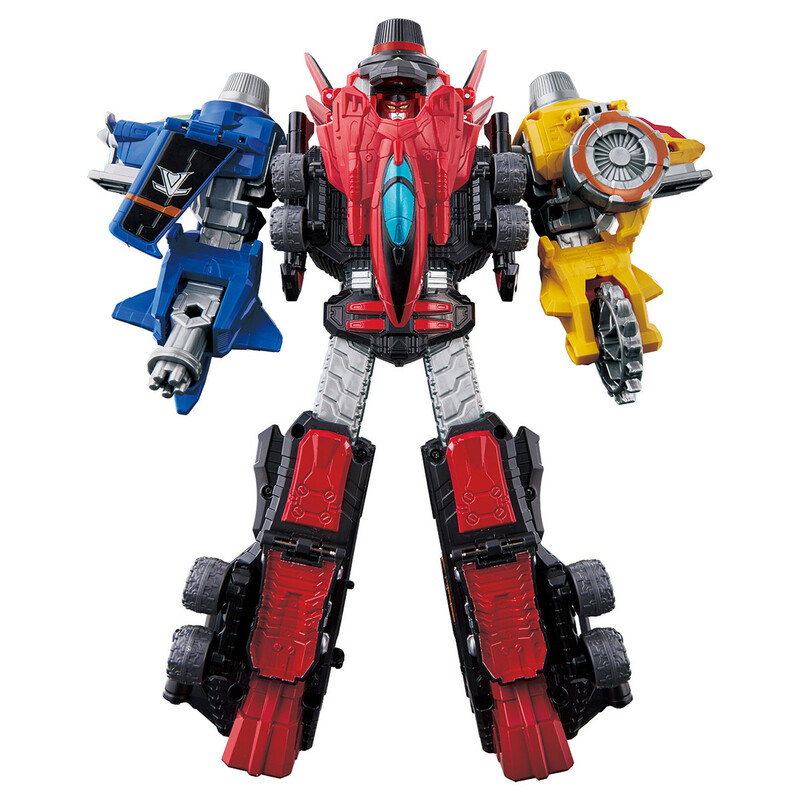 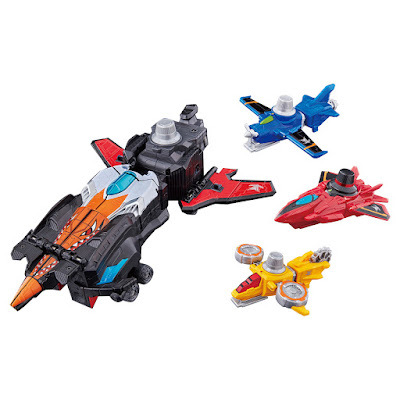 The set will contain the 3 main Dial Fighters and a Good Striker which can combine to form the Lupin Kaiser. The Good Striker from this set can also combine with the Trigger Machines to form Patkaiser. 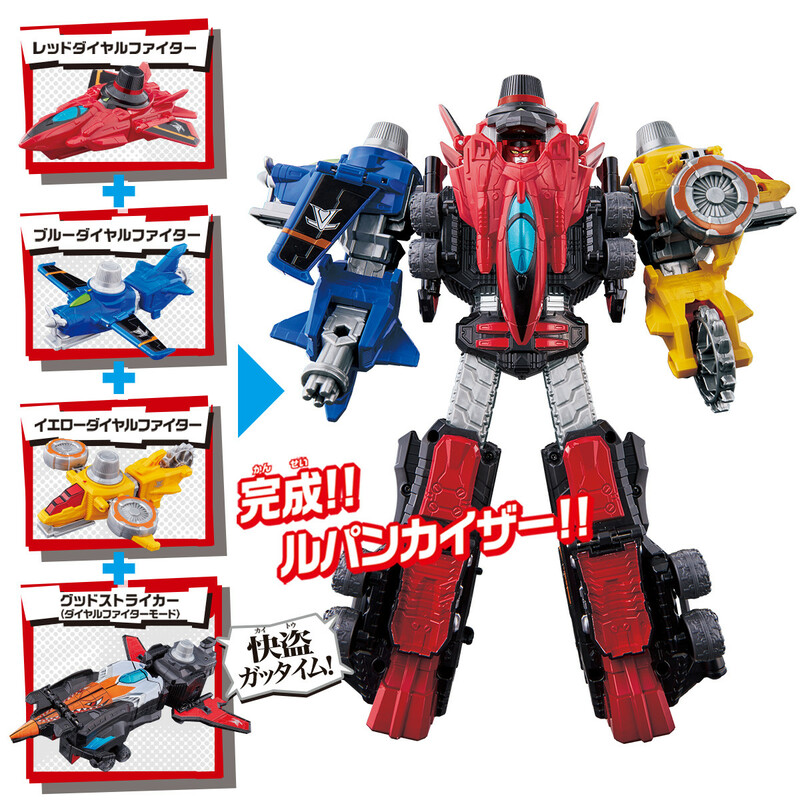 Just like the Patkaiser, the VS Vehicle Series Kaito Gattai DX Lupin Kaiser Set is scheduled to be released on March 218 but no price has been announced yet so stay tuned.